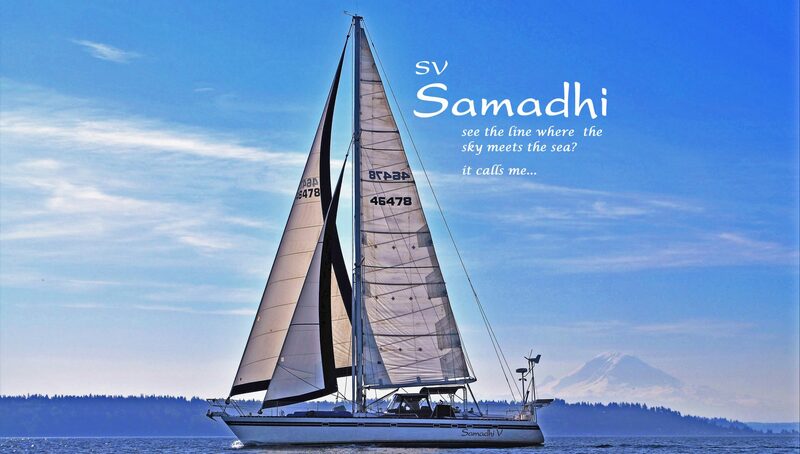 Samadhi V is a Tayana 55 cutter rigged center cockpit sailboat. She has the perfect layout for this family. Her layout features 3 staterooms (all sleeping 2), 2 heads (bathrooms), great galley (kitchen) and salon (living room) and a walk in engine room. If you don’t own a boat you’d probably think it’s a tight space for a family of 4 but after having 40′ boats she is so spacious! She is our family’s second home and passion. She is moored in the wonderful San Juan islands in Washington state. Even if we don’t leave the dock this family loves to be with Samadhi V!